IncrediMail backup and restore allows saving and cloning IncrediMail emails. 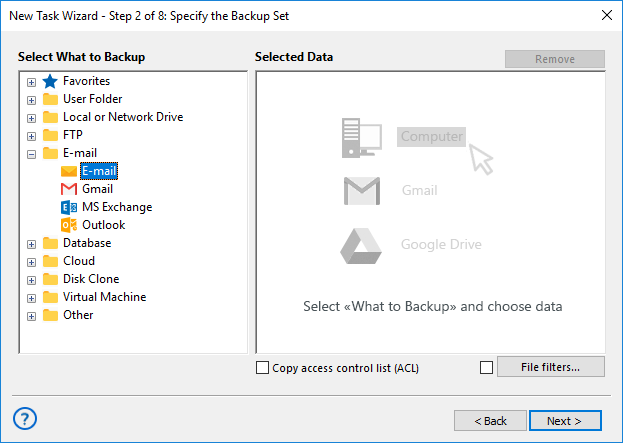 Instead of manually backup IncrediMail data, such as emails, contacts and other mailbox content, you can use Handy Backup with its “Email” plug-in for accessing IMAP IncrediMail server directly. Handy Backup fully automates all operations with IncrediMail backup, including connecting to a particular account, finding data, processing the information before saving it and then storing the data copy to a chosen vault. The program schedules all operations and applies all necessary algorithms. A user can encrypt and/or compress an IncrediMail backup with an internal set of instruments allowing these operations. Additionally, when performing backup mail IncrediMail, the program can use such security methods as SSL encrypting (for example, in an FTPS connection). Besides backup IncrediMail manually by just running a task, Handy Backup allows scheduling tasks to start at an exact time and date, to repeat for some period, to run by a system event, or just to complete IncrediMail backup account operations missed by somehow. Notifying users about task results by email, as well as reporting and logging task activities. 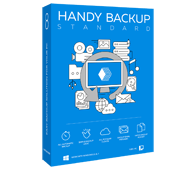 The Standard edition contains “Email” IncrediMail backup tool, as well as a good set of available storage plug-ins and a complete bunch of different backup features! Free 30-days trial! In this brief instruction, you will see how to backup IncrediMail folders via IMAP. Please follow the scheme demonstrated below. Start Handy Backup. Create a new backup task by the button or by pressing Ctrl+N keys. 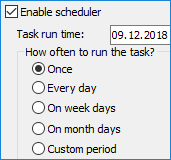 Select a backup task on the Step 1. Go to Step 2 and open the “Email” group. Click twice on the “Email” plug-in, or select it and click the “>>” button labeled after “Add”. 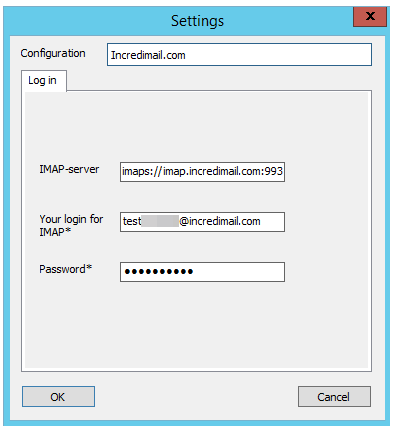 In the appearing dialog, enter the IncrediMail IMAP account parameters. Click OK, and you will see the list of IncrediMail folders you have. Select data you are planning to save by checking the boxes before IncrediMail data. Again, click OK and return to the Step 2 window. Continue creating a task as described in the User Manual – all other steps are unspecific for IncrediMail backup. You can create a restoration task for IncrediMail, using the roughly same procedure as for using an IncrediMail backup tool. 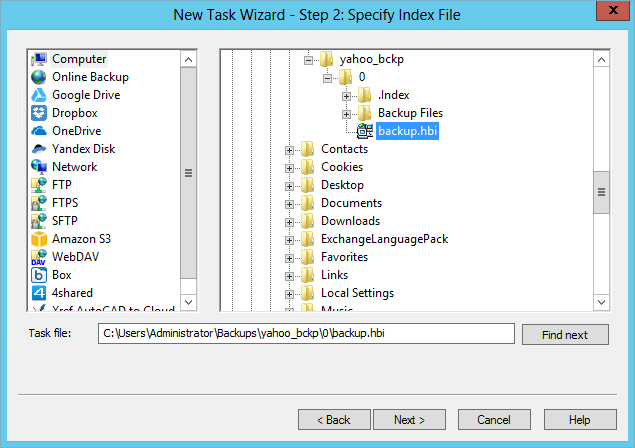 Open Handy Backup, create a new task and select a restore task type. Find the file backup.hbi in your backup storage. If you plan to restore your IncrediMail backup to its original location, just continue. Otherwise, click “Change location”. You will see a dialog for selecting a new destination. 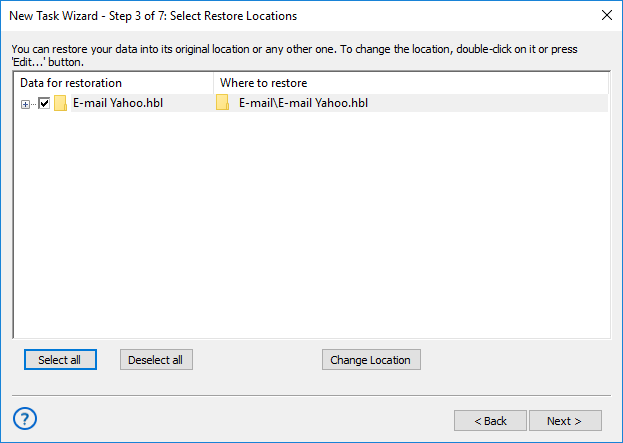 Select the new place for restoring an IncrediMail backup account, and then click OK. Note: We are strongly recommending you always using a new folder to restore IncrediMail backup to some new place! Continue creating a restoration task as usual. As mentioned before, you have your IncrediMail backup data in readable EML format, allowing you browsing, modifying or even restoring up to a single message where you have planned using a common file manager, like Windows Explorer. Note: You can even manually backup IncrediMail data by this way, assuming these data previously picked from an IncrediMail IMAP server using the Handy Backup tool! Move the EML files you want from a common backup to a completely separate place from a main dataset. downloading a fresh version of Handy Backup by a 30-days free trial period!